Bachelor in Economic and Sciences, Commercial Professor, Jury Account Censor and founding member of the Register of Economists Auditors. 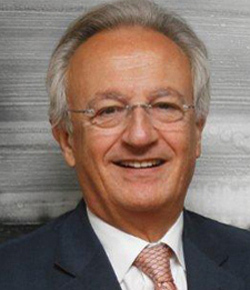 He joined Arthur Andersen in 1965 and was partner of the same from 1976 to 2000. From 2002 to 2004 he directed the Euroamerica. Foundation of which he was founding patron. From 2004 to 2016, he was the President Office of Justification of La Difusión, SA (OJD). He is currently Director of Repsol S.A. and member of the Audit Committee thereof; Director of Prosegur, SA and member of the Audit and Appointments and Remuneration Committees; Director of Quántica Producciones S.L, Director of Ideas4all S.L., Chairman of Arcadia Capital S.L., member of the advisory board of the Germán Sánchez Ruipérez Foundation and Vice-president of the Euroamérica Foundation.